In celebration of International Women’s Day, we’re supporting the global initiative of #BalanceForBetter by sharing the stories of six women who, through their passion for movement and equality, have and continue to move us towards a more balanced future. We lead our story with Indra Devi and her contribution to yoga. As celebrated as yoga is and as accessible as it has become, this hasn’t always been the case. For thousands of years, yoga thrived within a very exclusive group. In the late 1930’s, a young Latvian woman named Indra Devi helped to challenge the status quo. 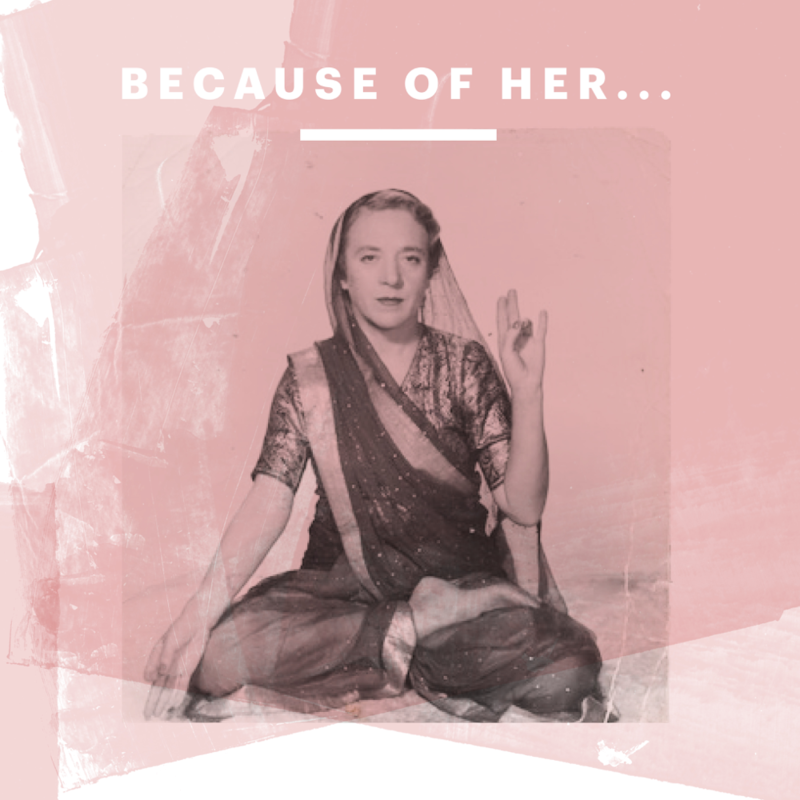 Initially rejected by one of the great yoga masters of the day, Krishnamacharya, because she was both a foreigner and a woman, she refused to give up and was ultimately granted permission to become his student. Studying alongside future world-renowned teachers B.K.S Iyengar, T. K. V. Desikachar, and K. Pattabhi Jois, she met every challenge Krishnamacharya set out for her and was asked to become a teacher. Eventually, she moved to the US and opened a studio in Hollywood, teaching the likes of Marilyn Monroe and Greta Garbo, and helping to popularize yoga as a practice for both inner and outer well-being. Before her, yoga was largely forbidden to foreign students. Before her, yoga was mostly off limits to women. Before her, yoga was for renunciation, not for health and well-being. Before her, yoga had not gone mainstream outside of India. Now, yoga is for everyone. Now, we don’t doubt we have what it takes. Now, we seek balance for ourselves and the world. 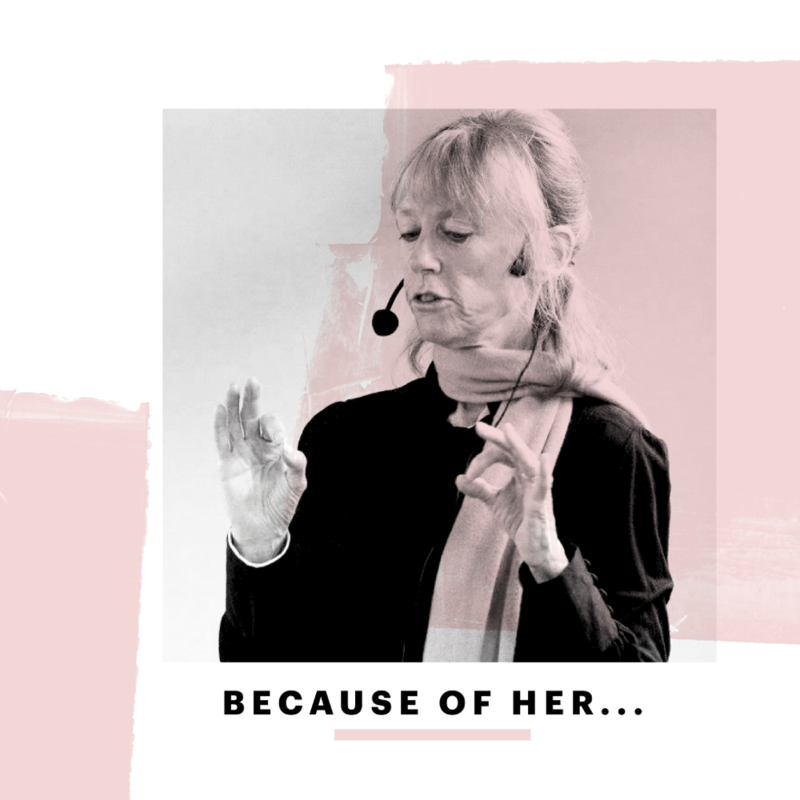 Because of her, we are inspired to listen to our inner calling against all odds, and strengthened by the knowing that our courage can change the world. Because of Indra Devi, the balance shifted for the better. As a young journalist and feminist activist on the rise, Sally Kempton wrote articles for Esquire and the New York Times, and went head-to-head with Hugh Hefner on national TV. While at the time her purpose seemed clearly defined, a profound spiritual experience in the early 1970s set her on a trajectory she never could have imagined. Suddenly seeing her purpose in a new light, she realized that instead of “fighting” for change she would lead the way towards a new consciousness. Within a year she had set aside her career to become a full-time student and teacher of yoga philosophy and meditation. Two years later she met her teacher, the great Indian guru Swami Muktananda, and under his guidance became a teaching swami (monk) in the Saraswati order of Indian monks, where she remained for twenty years. Today, Sally is one of the world’s most authentic spiritual teachers, sharing stories and practices that elevate a daily way of being. She is an author of two books, Meditation for the Love of It, and Awakening Shakti: The Transformative Power of the Goddesses of Yoga. Because of Sally Kempton, instead of “fighting” for change we are uniting to seek a new consciousness. As a young African-American track athlete in the Jim Crow South, Alice Coachman was denied the right to train alongside her peers. Undeterred, she took her training into her own hands, running on dirt roads and even constructing her own hurdles. 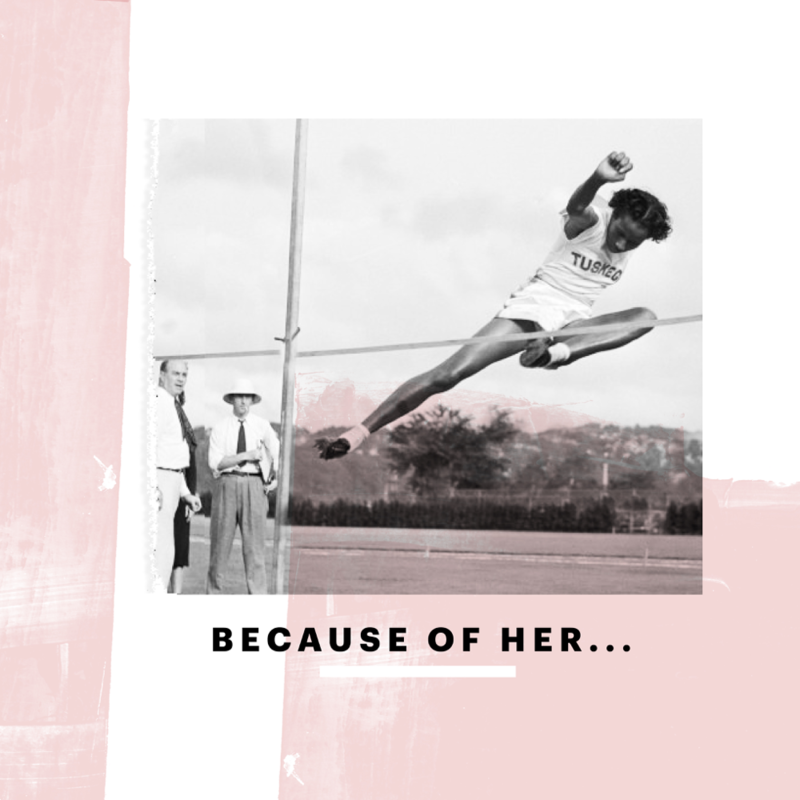 In 1948, at the age of 24, Alice’s perseverance brought her all the way to the London Olympic Games, where she set a new Olympic record in the high jump and became the first African-American woman to win the gold medal. Alice went on to win thirty-four national titles, and was the first African-American woman to endorse an international product when she signed with Coca-Cola in 1952. Her incredible success paved the way for a new generation of athletes who would now grow up with living, breathing proof of the validity of their dreams. Because of Alice Coachman, minority athletes throughout the world saw that hurdles were made to be leapt over. When Clara immigrated to the United States in 1925, she met her future husband Joseph Pilates, a German physical trainer. 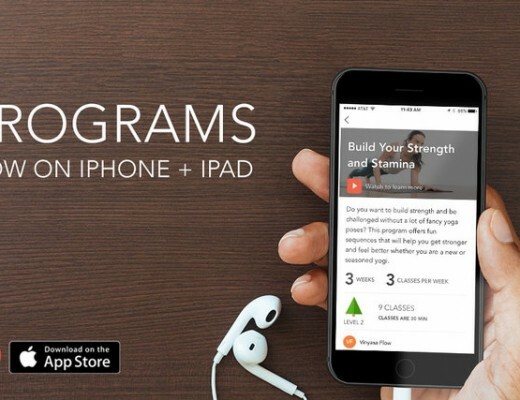 Together they founded a studio in New York City, developing a devoted following for his “Pilates method” of fitness training and rehabilitation. 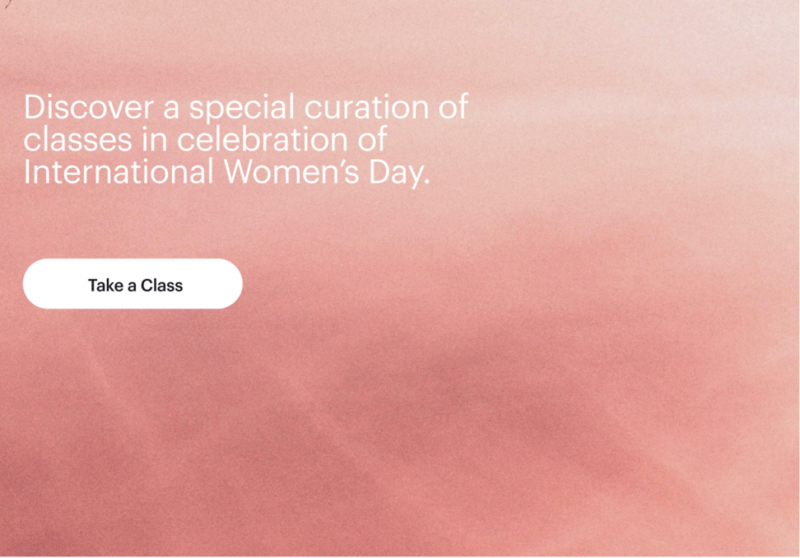 While Joseph is the inventor and well-known face of Pilates, the couple taught side by side, and Clara’s innovative teaching style deeply impacted the development of the method. Clara meticulously documented Joseph’s classes and techniques, preserving much of the knowledge we have today. 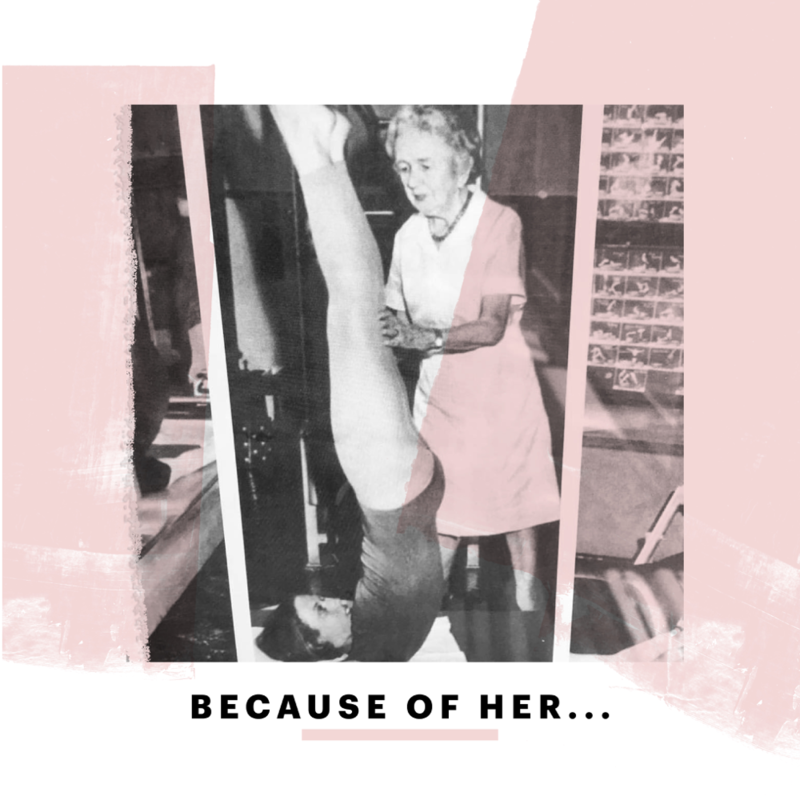 She was also skilled at adapting his concepts and exercises for her ill and injured clients, inspiring a lineage of specialized teachers that still lives on today, and cementing the Pilates method’s reputation for accessibility to all levels of health and fitness. Because of Clara Pilates, the Pilates method continues to improve the health and well-being of people around the world, regardless of ability. A trailblazing lawyer and politician from Hawaii, Patsy Mink left a pile of firsts in her wake. She was the first Asian-American woman elected to Congress, the first woman elected to Congress from the state of Hawaii, and the first Asian-American to seek the presidential nomination of the Democratic Party. Over her 12 terms in the U.S. House of Representatives, Patsy most notably co-authored the Title IX Amendment of the Higher Education Act, a federal civil rights law that prohibits gender discrimination in educational institutions, ensuring that women and girls everywhere can participate in sports in schools. In recognition of her dedication to this cause, the Title IX Amendment was renamed the Patsy T. Mink Equal Opportunity in Education Act following her death in 2002. 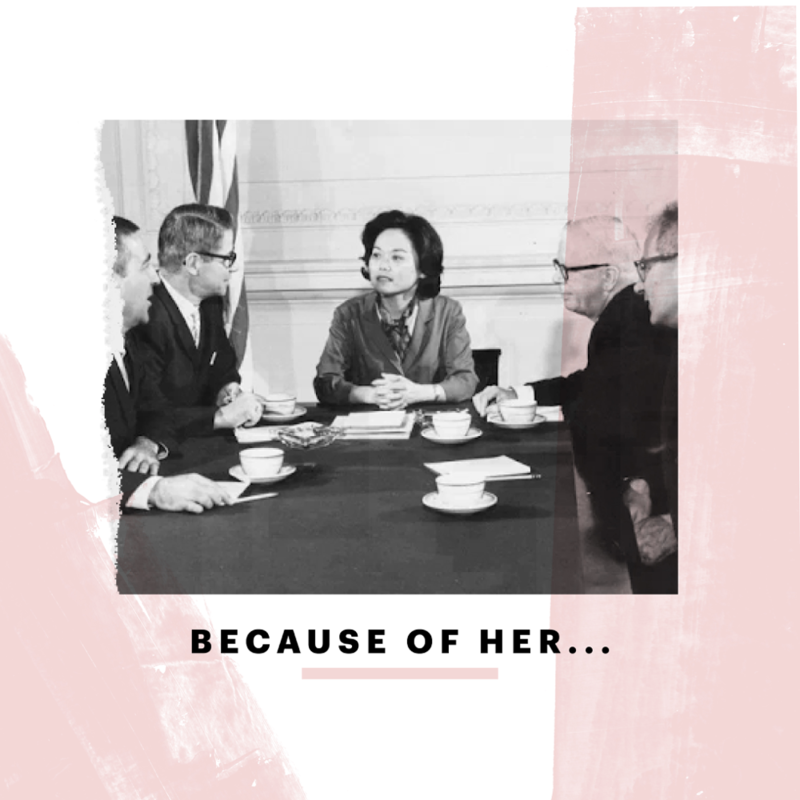 Because of Patsy Mink, women and girls across the country can participate in school sports, and there is greater equality in Higher Education. When British business executive Sophie Goldschmidt was named CEO of the World Surf League in July 2017, she became one of very few women to lead a global sports league that includes both male and female athletes. While working passionately to increase global interest and participation in the sport, Sophie also immediately took on the issue of gender inequality. Not only will surfing be included in the Tokyo 2020 Olympic Games for the first time, but, beginning with the 2019 season, all World Surf League events will award equal prize money for male and female athletes. Fittingly, the World Surf League is leading the wave with this historic announcement. They are the only global sports league in the US to offer equal prize money and one of the first internationally, offering hope while proving just how much work is still to be done. Because of Sophie Goldschmidt, female surfers now have equal pay—and equal respect—when they compete, and a new generation of girls will be empowered by the conviction that their accomplishments hold equal value.